Here at Crew Cut Lawns we have graduated over the years into a full service lawn and landscape company. We feel our years of experience and dedicated staff has allowed us to consistently increase our success. 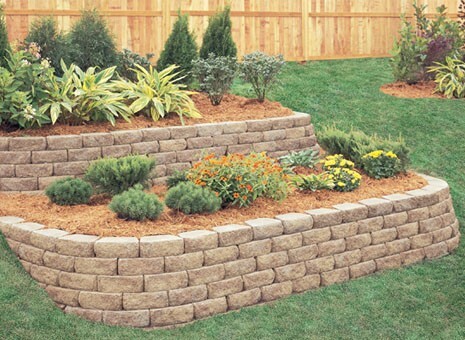 Our goal at Crew Cut Lawns is to provide the highest quality of service at a fair and competitive price. Our Anchorage and Eagle River lawn service ranges from lawn care to lawn maintenance or just a simple lawn mowing. We can also handle all your snow removal and snow plowing needs. Anchorage and Eagle River continue to grow and our company is excited to be an integral part in the beautification of our community. Such a peace of mind knowing you are taking care of my rental property here in Eagle River, it’s nice that I don’t have to go by there all the time anymore! See you when the snow arrives! The guys always do astounding work on our lawn. Please give the guys $20 each for doing such a fine job in horrible weather! We appreciate their effort. The guys where very efficient and impressive with the Spring Cleanup. I am also extremely happy with the lawn service and the guys are great. Just wanted to say you’re so professional with the lawn maintenance, week in week out. We have been so thankful for your lawn maintenance and snow plowing service over the years. Really appreciate the A+ service again this winter with the snow plowing. 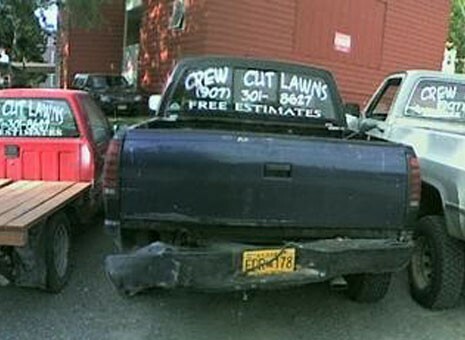 World class lawn service! I will be sure to call you in the spring. Thanks for the awesome lawn service and I am looking forward to the future winter snow removal. Your care for my lawn is exceptional. Looking forward to lawn maintenance next year. You are doing exemplary with the lawn maintenance!!! The yard looks impressive 🙂 Your quick response to spreading gravel on the parking lot was a life saver. All around snow plowing, lawn maintenance, lawn care A+++!! PO Box 110270, Anchorage, AK 99511 - 907-301-8627"